Rare Resident Evil Action Figure Giveaway – Executioner Majini Japanese Edition! We just sent out the prize from last week’s BioShock EVE Hypo Giveaway, and we were so happy with the enthusiastic response we’re giving away another rare item, this time from the Resident Evil series. Game Crazy has managed to get our hands on a limited Biohazard Edition Executioner Majini action figure that was only released as a promotional item in Japan for the film Resident Evil: Afterlife. Read on to learn how you can win this extraordinary prize! 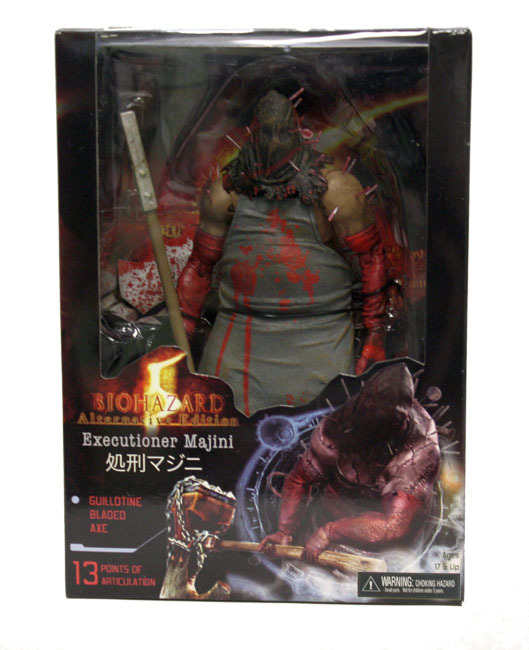 This Executioner Majini promotional action figure was a Japanese market release, and so went by the game’s original Japanese title of Biohazard. It was released ONLY in Japan by Capcom and Sony as a promo for the Blu-ray and DVD release of Resident Evil: Afterlife. The long-running Resident Evil video game series has always featured intense zombie-fighting action, and this articulated 7″ scale figure brings that to life in amazing detail. 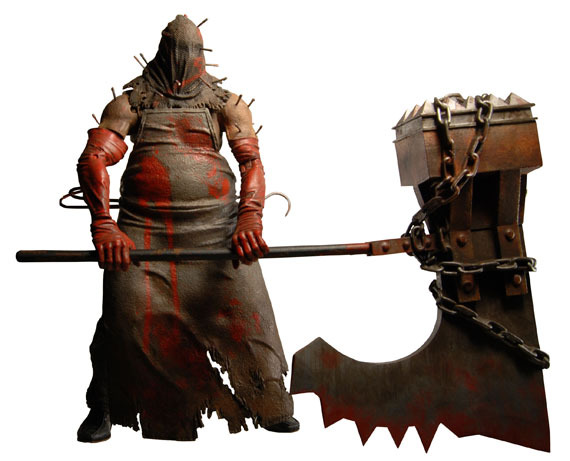 The figure features 13 points of articulation, and comes with guillotine bladed axe accessory. Assassin’s Creed Giveaway – Rare Ezio Action Figure & Flying Machine! 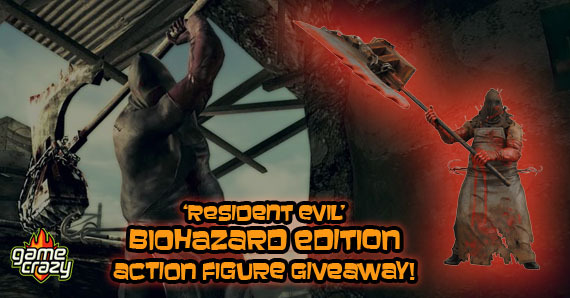 Resident Evil 4 Action Figure Giveaway – 7″ Leon & Chainsaw Ganado Resident Evil 4 Action Figure Giveaway – Ada Wong and Verdugo! 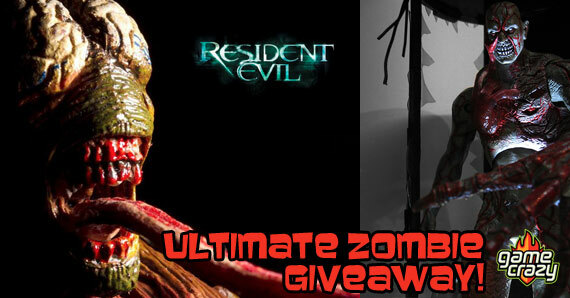 Resident Evil Action Figure Giveaway – Sheva Alomar & Crimson Head Zombie Rare Gears of War 2 Action Figure Giveaway! Ultimate Resident Evil Giveaway: Win the entire 10th Anniversary Action Figure Set! Bioshock 2 Rare Action Figure 2-Pack Giveaway! Rare Soul Reaver Action Figure Giveaway – Material Plane Raziel! This entry was posted in Contests & Giveaways, The GC Blog and tagged biohazard, giveaways, resident evil by gcadmin. Bookmark the permalink.